What are you afraid of? Spiders, snakes, heights, crowded places, germs, death, or any of a myriad number of cringe-inducing people, animals, or situations? A quick glance at the television news programs can also be a frightening experience as reports detail the latest terror threat, hideous acts of violence, racism, economic downturns, job losses, disease, etc. What are we to do? 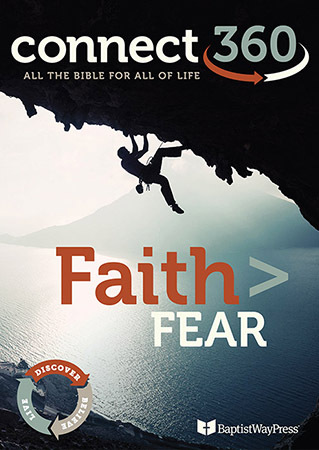 This study will lead Christ-followers to cast off the shackles of fear, to take hold of their faith, and to confidently step into God's calling for each part of their lives. 13 Lessons.